If my son had to pick a favorite dinner, it would be spaghetti, everytime. He gets so excited when he walks through the door and sees some hamburger meat browning in the skillet, because he knows it’s most likely going to be the start of his favorite meal. My husband also loves it because if he’s got to make dinner, it’s super easy. 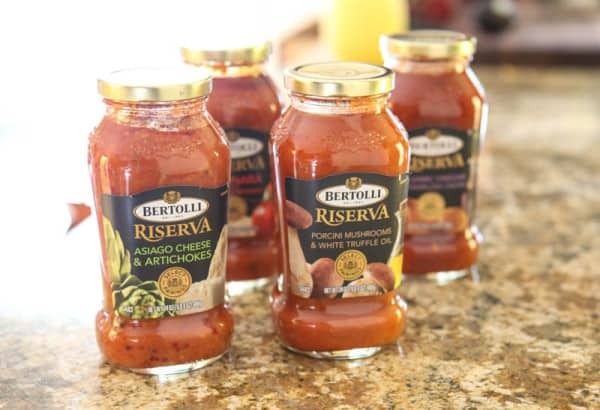 And for our spaghetti sauce, we like to use a store bought pasta sauce like these delicious new choices from Bertolli. They just make spaghetti night all that much easier. To celebrate Bertolli’s 150th anniversary, Bernoulli sent me some of their Bertolli® Riserva Italian Sauces. These are incredible. 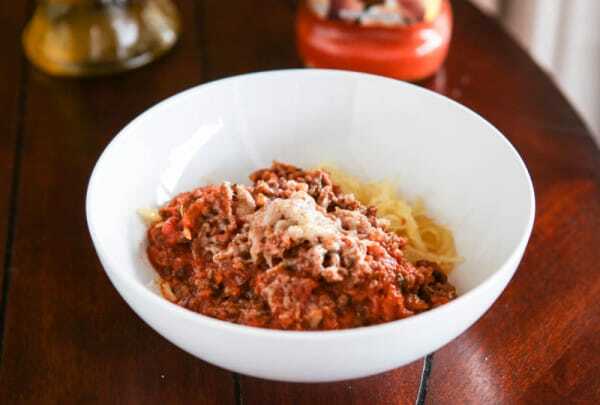 We’ve made this spaghetti sauce that I served over spaghetti squash and also some veal parmesan with another one of the sauces. They all taste amazing and don’t need to be “doctored-up” like other sauces do. To bring a little more Tuscany to our table, we like to serve dinner with a nice Chianti and a crusty baguette served with garlic infused olive oil. We serve the little ones grape juice and end the dinner with cool creamy gelato. Bertolli wants to know how you bring Tuscany to your table. Think of what Tuscany means to you and share your recipe creation or tables cape, or anything else for that matter on social media and tag it #MyTuscanTable. For each and every #MyTuscanTable share during the month of October, Bertolli will donate funds to help No Kid Hungry feed kids in need 10 healthy meals*, with a minimum donation of half a million meals. For inspiration, check out Bertolli Cooking School. Add beef to a large skillet with onion, carrot, bell pepper and garlic. Place on stovetop and turn heat to medium. Cook meat and vegetables until done. 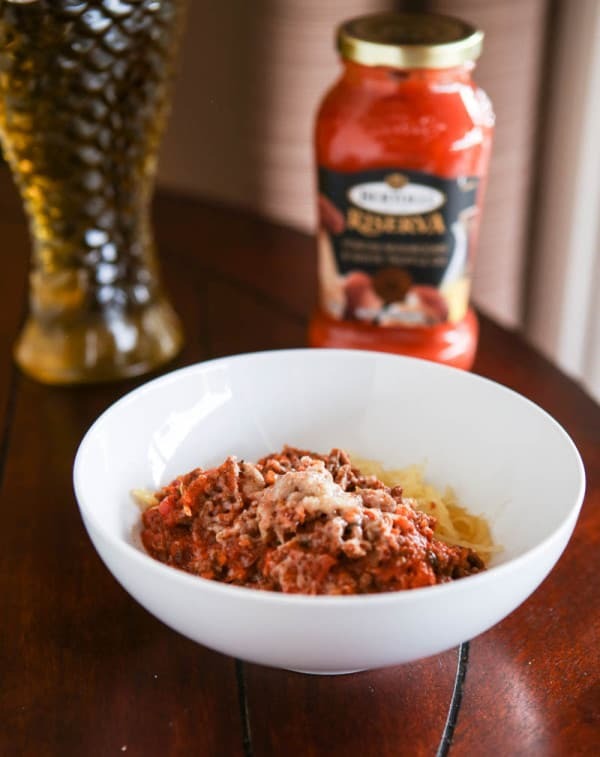 When vegetables are tender and beef has browned, add Bertolli® Riserva Italian Sauce. Bring to a boil and reduce to a simmer. Pierce spaghetti squash with fork or make slits with a sharp knife in several places for steam to escape. Microwave on high for 8 - 10 minutes, or until squash is under. Squash cooking time will vary based on microwave watts and size of squash. This post sponsored by Bertolli®. All thoughts and opinions 100% mine.